After the judgment of the Supreme Court, the Peoples Democratic Party faces the challenge of reconciling all factions. Obviously, being one of the leading protagonists, Ahmed Makarfi, who leads the victorious caretaker committee of the party, is not the best man to lead the reconciliatory process. But who has the capacity and the sagacity to wield the fractious party together at this time when effective leadership ability is required? So far, three prominent members of the party from the southwest have stepped forward to offer themselves for the job. They are: Chief Olabode George, Mr. Jimi Agbaje and Mr. Femi Fani-Kayode. All are eminent and capable. But who has that extra niche needed to do the job? Already, they have started selling themselves to members ahead of the party’s national convention. With each of them accusing the other of not having the leadership credentials to lead the party, full politicking has resumed. Having lost the juicy position of president to the All Progressives Congress, whoever emerges chairman of PDP must influential and must enjoy the respect of supporters across board. As the party moves and limps towards the 2019 elections, it requires a lot of money; money that is no longer available! The party has lost its dominance in the polity and has shrunk from controlling over 26 states of the federation to less than half of that in one election year. Even though the states that are being controlled by the party are about the richest in the country, none of the governors is ready to fund the party at the centre right now; or confident enough to gamble the stateâ€™s financial resources on an election that the party might not win. 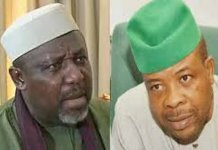 The case is even made worse by the fact that most of the governors on the partyâ€™s platform are also facing elections themselves and needed all the resources they can muster not only to fund re-election but also to combat the raging and crushing political machine of the APC which brooks no opposition. Furthermore, unlike in the past when governors wield lot of powers and influence as to who takes what in the run towards any election, such influence have waned; and from all indications, they seem not to be really â€œinterestedâ€ as to who ever becomes the partyâ€™s chairman right now, let alone its presidential candidate in the forthcoming election, a source close to one of the governors from the south-south region told THISDAY. According to him, the reason why the governors are wary is that, the chairman will have to face a very daunting task of not only trying to bring a fractured party together in a few months, but also dislodge an incumbent government that is ruthless. Besides this, he said more important to the governors is that they are rather more interested in their own survival than anybody else. In all directions, the PDP seems to be in dire straits. Some of the contenders for the post of chairman include a former Minister of Education, Prof. Tunde Adeniran, who is also a member of the partyâ€™s Board of Trustees (BoT), Prof. Taoheed Adedoja and Prince Uche Secondus, a former acting national chairman of the party. Don’t rule out media mogul, Chief Raymond Dokpesi yet. Olabode Ibiyinka George was a former military administrator of Ondo State, and later Chairman of the Nigerian Ports Authority. 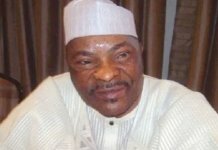 In between, he was the national vice-chairman, southwest zone of the PDP and later, the deputy national chairman of the party. George was born on November 21, 1945 in Lagos. He earned a B.Sc and MBA from the University of Lagos. George became a Commodore in the Nigerian Navy, and was appointed Military Governor of Ondo State (1988â€“1990). He became Principal Staff Officer, to General Oladipo Diya when the latter was Chief of General Staff, between 1993 and 1997. George was also a Director at the Nigerian National War College (NWC). George used to be close to Olusegun Obasanjo. Today, the party’s apparatchik are persons between the age of 45 and 60 years. George needs to convince these young men that he has all it takes to take the party to the next level given his age. Strong-willed, inflexible and considered by some as arrogant, George is one man who the hawks in the party will find it hard to push around. He is one man who is not afraid to say his mind on issues he feels passionate about. Olujimi Kolawole Agbaje was born on March 2, 1957. He is a Pharmacist and was the 2015 party’s Lagos State governorship candidate. In 1982, Agbaje founded his own company, JAYKAY Pharmaceutical and Chemical Company Limited and was Managing Director until 2005 when he decided to venture into politics. A consummate professional, he was a member of the Pharmacists Council of Nigeria (1999 â€“ 2006); National Secretary of the Nigerian Association of General Practice Pharmacists (NAGPP) from 1987 â€“ 1990; National Chairman NAGPP (1990 â€“ 1993) and Chairman Pharmaceutical society of Nigeria Lagos State (1994 â€“ 1997). 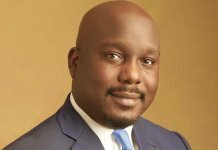 He also sits on the Board of other organizations including Oakwood Park Ltd, Atlantic Hall Secondary School Epe, Jimi Agbaje Outreach (a project dedicated to helping the less fortunate) and has served as business mentor at Fate Foundation. 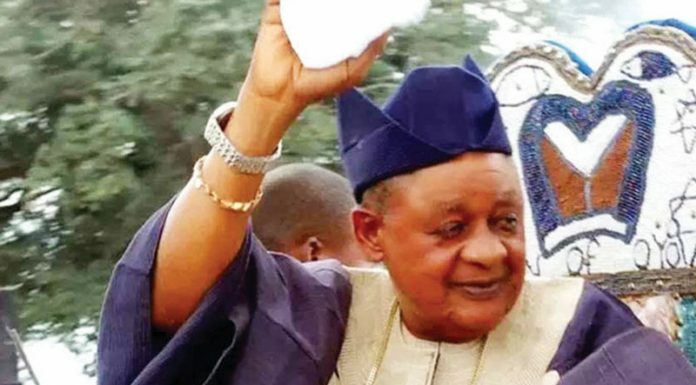 Based on his affiliation with Afenifere, he joined the Action Congress (AC) – his first political party. In 2007, Agbaje who had initially aspired to contest for the governorship of Lagos State on the platform of the Action Congress (AC) left the party to join the Democratic People’s Alliance (DPA). He was among the 11 aspirants that turned their back on the Action Congress (AC) when it was alleged that Bola Tinubu, then governor had already anointed someone else to succeed him even before the party primaries. Widely believed to have conducted the best campaign in 2007, Agbaje contested in gubernatorial election on the Democratic People’s Alliance (DPA) platform, but eventually, alongside other major contenders -Musiliu Obanikoro of PDP, Femi Pedro of Labour Party (Nigeria) – lost to Babatunde Raji Fashola of the Action Congress (AC). He left DPA in 2011 and went on to join the PDP following the de-registration of DPA by the Independent National Electoral Commission (INEC). On October 29, 2014, he officially indicated his interest in giving the Lagos State gubernatorial elections another shot by picking up the PDP nomination form. On 8 December 2014, he emerged as the candidate of the PDP for the 2015 Lagos State gubernatorial election, having defeated Musiliu Obanikoro in the primary. If there is one man who fits into the bill of those shopping for a true consensus chairman of the party, Agbaje is the one. He is the one that neither threatens the hawk nor drives away the doves. Also very strong willed, Agbaje is known to be inflexible except convinced by superior argument. But his greatest attribute is that, he is trusted and respected by the new leadership within the party. Femi Fani-Kayode was with the opposition APC until June 2014 when he returned to the ruling Peoples Democratic Party. Although his family lineage originates from Osun, he was born in Lagos, on 16 October 1960 to Chief Victor Babaremilekun Adetokunboh Fani-Kayode and to Chief (Mrs) Adia Adunni Fani-Kayode. He is an Ile-Ife chieftain of Yoruba descent. Fani-Kayode was the Special Assistant (Public Affairs) to President Olusegun Obasanjo from July 2003 until June 2006. He was Minister of Culture and Tourism from 22 June to 7 November 2006 and as the Minister of Aviation from 7 November 2006 to 29 May 2007. In 1980 Femi Fani-Kayode went to the University of London, School of Oriental and African Studies where he graduated with an LL.B degree in 1983 and later attended Cambridge University (Pembroke College) where his grandfather (Selwyn College), his father (Downing College) and his older brother, Akinola (Downing College) had all previously read law. After finishing from Cambridge, Femi Fani-Kayode went to the Nigerian Law School and in 1985 was called to the Nigerian Bar. He is one man who is not afraid to speak his mind on issue. He disagreed with President Obasanjo his boss; he simply walked away. When he joined the ACP, he could not agree with the system, he just walked out. Fani-Kayode is ready and will take on controversial issues any time any day and it does not matter to him if his position is likely to inflame the polity. As national chairman, Fani-Kayode is expected to carry everybody along irrespective of tribe and tongue, but his contentious position on religion and ethnicity is likely to affect his chance. Given this, and knowing that a lot of people from the north and even some people from the southwest are very wary of him, the possibility of him clinching the position is dicey. It is said that the margin of victory in life can sometimes be measured in inches; a good leader may make the difference in the situation that the PDP now finds itself. This gloomy situation notwithstanding, since the governors are the de facto leaders of the party in their respective states, they will still end up determining who eventually becomes the national chairman.